The ADA Compliance home page will tell you who has been named as the department head. Here you will also see who has been named the ADA officers. The Caption Images area pulls all the photos on your website that do not currently have alternative text, it collects them in this area and provides the option to add alternative text directly from here or provides the option to go directly to that particular area of the CMS. The Set Caption text to alt text button will automatically set the alt text to whatever the caption text is. This is for the Header Gallery and Photo Gallery only. The Issues Log will captor all the pages that contain ADA errors per the WAVE tool and our internal scanner (there are things the WAVE tool and SchoolPointe’s scanner will not capture that are still considered non-compliant). 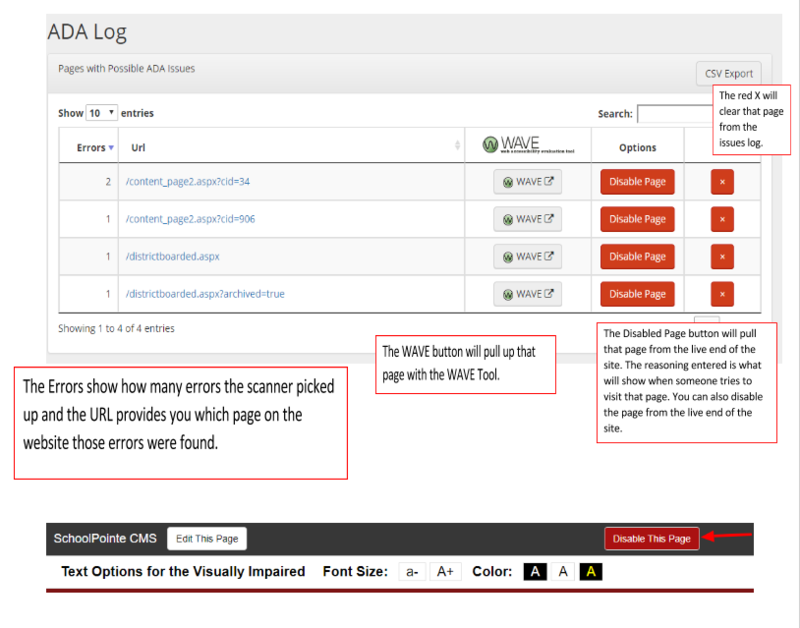 Every time a page on your website is visited, SchoolPointe’s scanner will scan that page looking for ADA error. 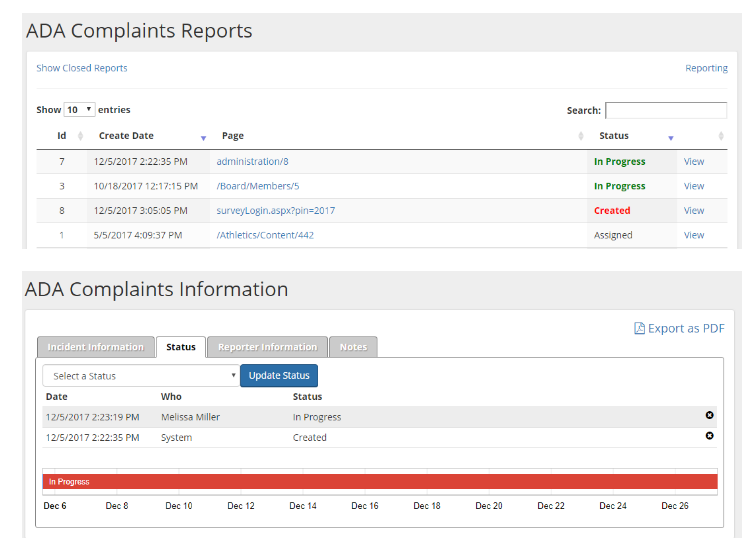 The ADA complaints area of the CMS allows you to view details of reports that were submitted online using the online ADA form. You have the option to go in and change the status of the incident along with adding notes. You also have the option to report the incident as a PDF and run a report on the number of ADA reports submitted. NOTE: If you have permission to access the ADA Complaints section, you will receive an email notifying you there has been a submission.